Haddonfield Tennis Association will conduct a 6-week summer tennis program for juniors, ages 6 to 13, on Tuesdays at the Centennial Tennis Courts. The program will begin on June 21. Participants are encouraged to register early, as space is limited. The cost of the program is $65. Class times for the programs are: ages 6 to 9, 6:15 p.m. to 7:15 p.m. and ages 10 to 13, 7:15 p.m. to 8:15 p.m. The program is directed by Mitch Winkler. 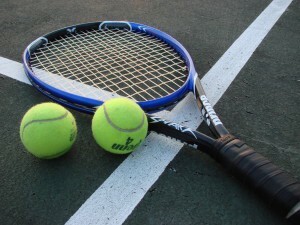 Mitch has been tennis director of the Haddonfield Tennis Association for over 15 years. Mitch coached the Bishop Eustace Girls High School Tennis Team the past three years. This past season Mitch led his team to the South Jersey Non-Public A Sectional Championships, becoming the only girls coach in South Jersey history to win a sectional championship at two different schools. For additional information, contact Winkler at (856) 428–8541.